The skin is an organ that’s easily taken for granted, but it actually does a great deal of work. Human skin is sensitive, able to receive varied stimuli. At the same time, it’s robust enough to endure bruises and cuts, while being able to heal itself in a relatively short time. As scientists develop so-called electronic skin, or e-skin, the challenge is to incorporate all of these properties. That’s what researchers from the University of Colorado at Boulder (UC Boulder) have attempted with a new type of e-skin. In a study published recently in the journal Science Advances, UC Boulder researchers describe an electronic skin that’s malleable but also durable. It’s an improvement on previous e-skin versions, which weren’t very durable. “It’s definitely more robust than people’s skin,” study co-author Wei Zhang told Live Science. To top it off, this electronic skin is also recyclable and capable of healing itself. “What is unique here is that the chemical bonding of polyimine we use allows the e-skin to be both self-healing and fully recyclable at room temperature,” researcher Jianliang Xiao, a UC Boulder mechanical engineering assistant professor, said in a statement. This makes good economic and environmental sense, Xiao added. 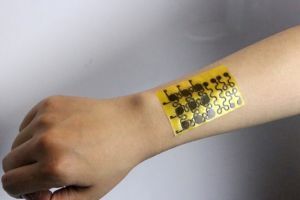 An e-skin can work as an enhancement to real skin, as it can house sensors that allow it to be connected to various kinds of electronic devices. It’s not difficult to imagine future applications that embed sensors into these e-skins to make them function like wearable smart devices. 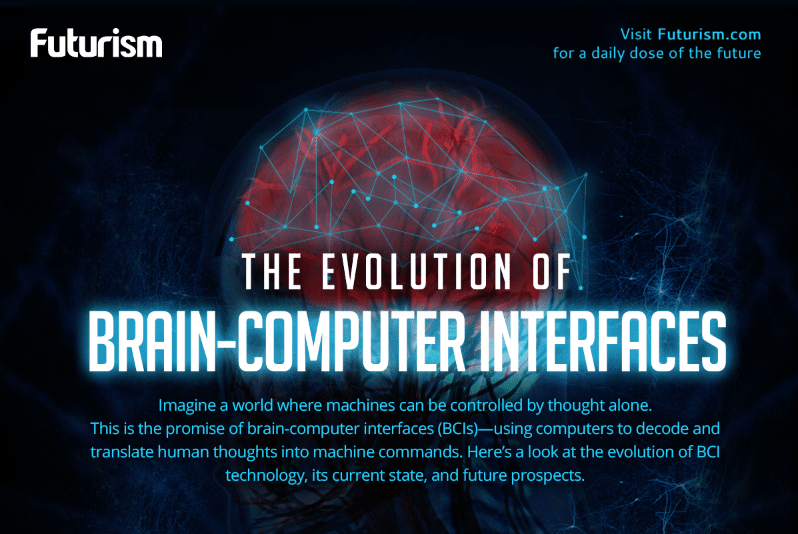 Zhang and his colleagues are now looking to work with experts in artificial intelligence and biomedical engineering to expand the applications for their e-skin. One such application is in prosthetics. The UC Boulder electronic skin could definitely enhance modern prostheses, giving them a more sensitive but robust touch — quite literally. 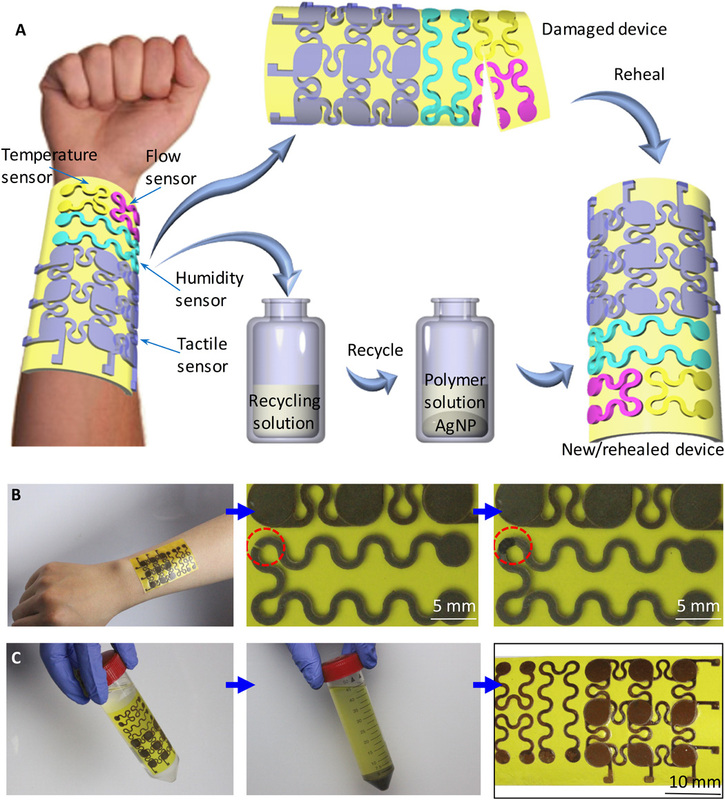 It’s more manageable too, as the e-skin and even its embedded sensors can “heal” just with the application of a three-compound ethanol mix that’s commercially available. With sensors that measure pressure, temperature, humidity, and air flow, this electronic skin could eventually feel like real skin — but in certain aspects, even better.